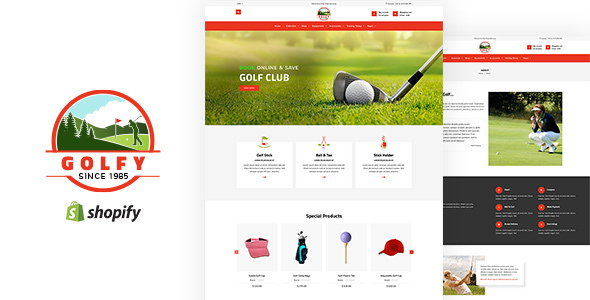 Golfy is a gorgeous and stylish sports Shopify theme created for launching your own online store for selling sports equipment, accessories, and sportswear. The theme has highly modern and superbly functioning design, therefore you can show your products grandly with new trending styles. Besides, the themes mega menu displays your product images and categories with an excellent look. Plus, the theme’s slideshow is highly smart and shows your products lively with smooth transition effects you never have seen before. Using the above features, you can make your clients stick with your website once forever. Not only that the theme is cross-compatible with all devices and browsers screens across the world.